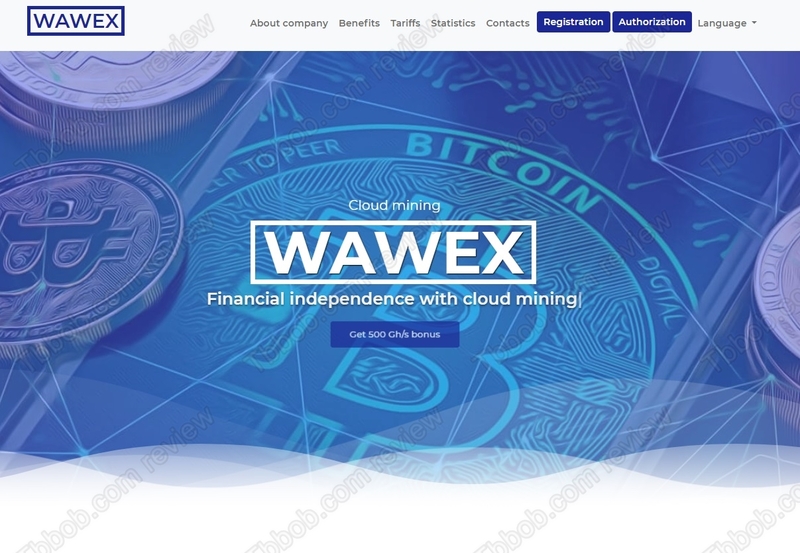 In this article we review the Wawex cloud mining service, and we conclude that it is a scam. Wawex is supposed to let you rent hardware to mine cryptocurrencies. So, you just pay for a tariff, mining happens on Wawex computers and you get the rewards. At least that’s the theory. The tariffs offer between 1% and 5% daily returns on investments. It means up to 150% per month, which is 50% net right in the first month. It is clear that Wawex is not doing any real mining. Just look at the definition of the tariffs, no time period is specified. Real mining contracts are always time limited, you cannot expect to pay a one-time fee and get unlimited returns, because there are hardware and electricity costs to be paid. Another confirmation that Wawex is not mining is in the numbers. It is absolutely impossible to make 50% net per month in mining, it’s pure math dictated by mining costs and current crypto prices. All in all, there is only one option remaining, namely that Wawex is a scam. Wawex is either a Ponzi scheme or a simple scam. If it is a Ponzi scheme, it will pay out some profits at the beginning, but money from deposits will be used for that. In other words, an illegal financial game doomed to collapse. If it is a simple scam, it will just take money from people and pay nothing back. Wawex is not mining cryptocurrencies, it is a scam that is going to collapse, it is a matter of when, not if. Stay away from it. It’s impossible to make money in cloud mining nowadays, but you can try crypto trading instead on a free demo account. To make money in trading, you have to build a solid strategy and understand the risks associated with real money trading. You can practice on the demo.